Ever fancied having a go yourself? 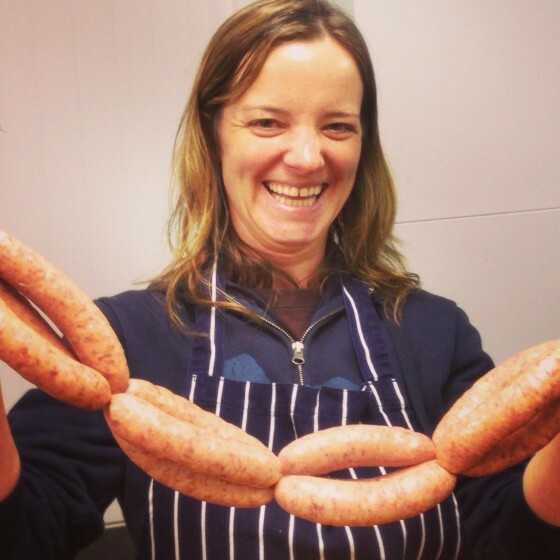 Our Butchery, Sausage Making and Basic Charcuterie course offers something a little bit different, visit our traditional Dales Farm, try your hand at butchery, sausages, curing and lots more, great informative fun and superb Dales hospitality. Held monthly usually on a Friday towards the end of the month. For groups we can deliver a bespoke course, event or experience and arrange any time or date to suit you. With five generations of experience our family butchers can teach you a trick or two, from basic butchery and knife skills to curing your own bacon, making the perfect sausage or even try your hand at Salami and Chorizo. Courses are held on the farm near Malham in the Yorkshire Dales, includes farm & butchery tour and chance to meet the pigs and other stock, refreshments and lunch are provided. Prices from £150 for a full day. Pork Butchery, Sausage making and basic Charcuterie. 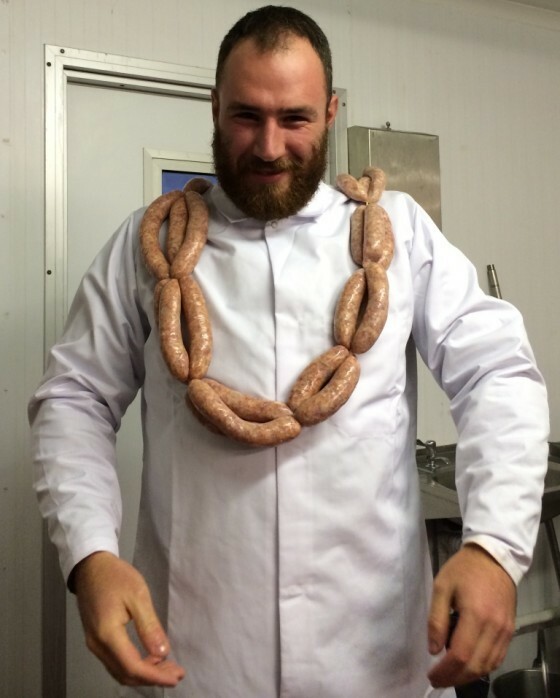 Sausage Demo’s at your event (by arrangement). Chef training days & bespoke production consultation.